My Job is Manufacturing Operations Manager at ANCA CNC Machines. My role is to lead the Australian and Thailand manufacturing plants that produce ANCA’s range of CNC Machine Tools. ANCA is a world leader in the precision CNC grinding segment, so I guess we are pretty good at manufacturing high-end machinery. Our clients are almost always overseas and are generally cutting tool manufacturing companies, although we are seeing more opportunities in aerospace and automotive component manufacturing space. I started at ANCA as an apprentice and have worked my way through production, engineering, sales and operations. I have worked for ANCA in Australia, USA and Thailand over my career. I really enjoyed the overseas assignments and feel they have given me a broad understanding of manufacturing globally. My experience in Thailand was really, “dropping in the deep end”, as I had to establish our Thailand manufacturing operations from scratch. I spent 4 years there building a team that was capable of producing high end machine tools within the required quality and delivery to support global requirements. More recently I have been working in ANCA’s head office in Australia, driving improvements within the plant and have enjoyed seeing our shop floor teams get involved in improving our manufacturing processes. As a global manufacturing exporter I need to juggle numerous stakeholders and priorities. I start the day by rotating through the manufacturing team meetings across the plant. Having this face to face contact gives me insight into how the teams are running and any impending issues that need to be addressed. ANCA has a strong reputation for innovation so there is always new manufacturing processes and requirements to support new product introduction. Somewhere in among all that we squeeze time for strategic thinking, I can safely say it is never boring at ANCA!!! People, people, people….. it really is about people and giving them an opportunity to use their skills and experience. We have been working on embedding lean principles and concepts in the ANCA operations divisions over the last 4 years and it appears to have stuck. I think these principals are a solid play book to work from but there is also a strong drive to innovate at ANCA and spending time on understanding the real benefits in some of the newer manufacturing processes technologies is also critical. As a labour force some of the basic capabilities in precision manufacturing are lacking and the only way to get them currently is build them yourself, at significant time and cost or poach them from someone. This obviously feeds the skills gap discussion, but I don’t see a collaborative approach to this within manufacturing. To address the skills gap we are developing our own next generation of talent. We have been running a formal apprentice center for almost 10 years now and have 19 apprentices across the four-year program. 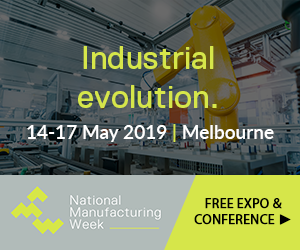 The forum provides a steady stream of information on what’s happening in Australian manufacturing via the LinkedIn platform. There are usually some positive stores from Australian manufacturing and positivity is important when much of what you hear is that manufacturing in Australia is dying – well clearly it isn’t. To stay up to date with the latest Australian manufacturing news, subscribe to our free weekly newsletter here.